This land parcel is back on the market and available once again! 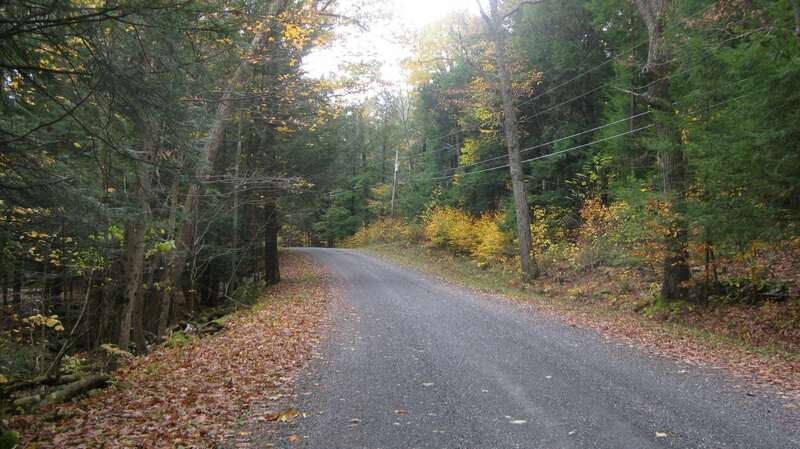 In Austerlitz, NY (Columbia County) sit 25 acres of wonderful property, ready for a new owner. The site has a pond, cleared building site, driveway and electric. Even more importantly, this acreage boasts wilderness and peace. The land backs up to state forest and most of the area is wooded. Deer, turkey and other animals are in the area. Sitting on the top of a hill overlooking the forest floor, you can hear the wind coming from a distance. You listen as trees start to rustle from afar and then move right over you and beyond. You hear the streams rushing or trickling, depending on where you sit and what season it is. Walking near the pond, you may see fish swimming about or startle the frogs. If you sit near the road, you might see two or three cars pass in an entire afternoon. That’s a busy day. So if you like quiet and desire a place to escape, this spot is perfect. The acreage is ideal for building your dream home. It is also perfect for picnicking, camping, hiking, hunting, snowshoeing, chopping firewood, target shooting or reading a good book on top of a hill. Call me, Kat Palmiotti (owner and agent), on 914-419-0270 and I would be happy to help you buy your new land! Click below photo to review specific listing details. Stonewall Road, Austerlitz NY, MLS #4817275, listed at $155,000.